This straight-fit Loungewear Jacket is crafted in a Stretch Cotton blend for softness & comfort. Embroidered HUGO BOSS signature logo. Our Collection at Boxers and Briefs contain only the highest quality HUGO BOSS Mens Underwear. One of the core ranges is the HUGO BOSS Loungewear Collection. A straight-fit loungewear layer in soft stretch cotton by BOSS Menswear. 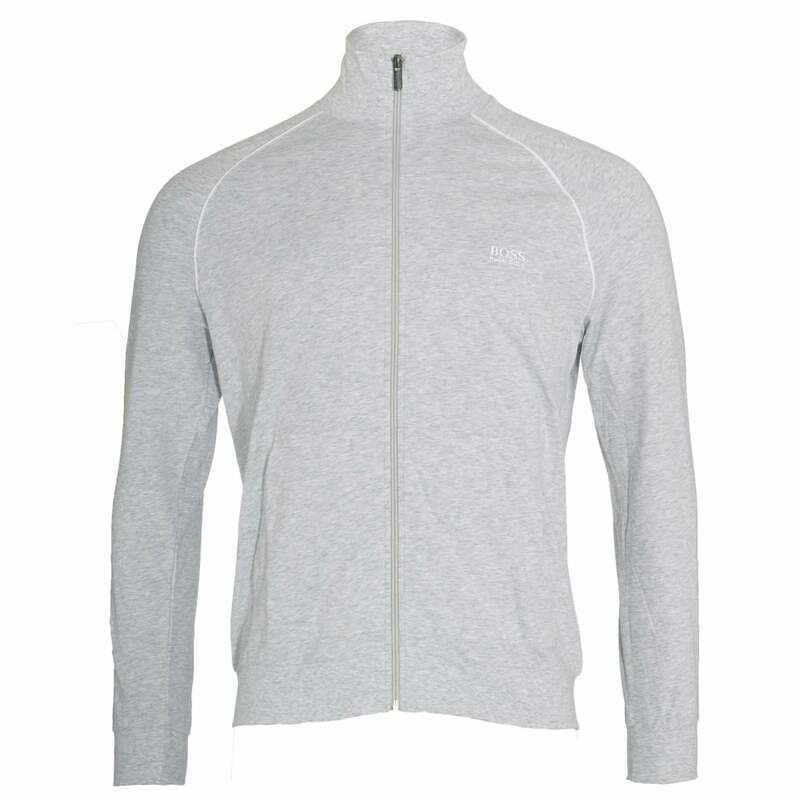 This zip-through jacket features a kangaroo pocket and subtle BOSS branding at the left chest. Pull it on over laid-back looks for luxurious off-duty dressing. In this range we have a Grey HUGO BOSS Stretch cotton Zip-through Loungewear Jacket. These are available in multiple sizes ranging from size Small to Extra Large.